Probably no other holiday in America is more deeply entrenched in food tradition and superstition than New Year’s. While the first recorded festivities celebrating the arrival of the new year date back 4,000 years to ancient Babylon, it was Julius Caesar who originally established January 1 as the first day of the year, with the introduction of his Julian calendar in 46 B.C. Then, in medieval Europe, Christian leaders, believing the merriment associated with the new year was far too pagan and unChristian like, replaced January 1 in favor of “more significant” religious days, such as December 25 (the date of Jesus’ birth) and March 25 (Feast of the Annunciation). However, January 1 was reestablished in 1582 by Pope Gregory XIII and his Gregorian calendar, the one most used today throughout the world. In America, New Year’s celebrations start on December 31 (New Year’s Eve) and continue into the early hours of January 1 with parties, fireworks, concerts, and, of course, lots of food and drink. Exactly which foods, when eaten as part of the New Year’s first meal, are thought to bring prosperity and good luck during the coming year, depends largely on one’s location and ethnic background. Pork, with its rich, fatty meat, has long been a symbol of wealth and prosperity. The pig is also considered a symbol of progress because they always move forward when rooting for food, unlike chickens and turkeys that scratch backward when feeding, representing setbacks and struggles. American Southerners favor ham and ham hocks, while Midwesterners and Pennsylvanians prefer pork ribs, chops, and kielbasa cooked with sauerkraut. Fish is another food considered to be lucky. Its silvery scales are said to be reminiscent of coins, they travel in schools which symbolizes abundance, and they swim forward to symbolize progress. The Chinese believe that serving the fish with head and tail intact ensures a good year, from start to finish. Crustaceans, such as lobster, shrimp, and crawfish, should be avoided since they scuttle backwards. Cabbage, kale, chard, and other greens are thought to bring good luck by several cultures because their green leaves are symbolic of money and economic fortune. In the southern states, collards are the greens of choice. The Danish tradition is stewed kale sprinkled with cinnamon and sugar, while Germans and Poles enjoy sauerkraut, and the Irish boil cabbage with potatoes. Legumes including beans, peas, and lentils are also symbolic of coins. And because they swell when cooked, they are said to symbolize increased financial rewards. Italian families customarily cook their lentils with pork sausage to doubly ensure luck. In the southern states, the tradition is to eat black-eyed peas–one pea for each day in the new year–in a dish called hoppin’ john. Cornbread is a favorite New Year’s treat in the American south because its color symbolizes gold. To ensure even more luck, some people add corn kernels, which are representative of golden nuggets. Living in the south is not required. People from Spain, Portugal, Mexico, Cuba, and other Latin backgrounds have a tradition eating twelve grapes before the last stroke of the clock, each representing a month of the new year. Every sweet grape means a month of luck and good fortune; every sour grape, a month of disappointment. Other good luck fruits include figs–a symbol of fertility and pomegranates whose many seeds symbolize prosperity. Eating long noodles, especially soba noodles, on New Year’s Day are thought by many Asians to bring long life. The longer they are, the better. But it’s considered bad luck if you break the noodle before getting it all into your mouth, so slurp carefully. Ring-shaped cakes and other round baked goods eaten on New Year’s are considered by many cultures to bring luck and the assurance of good fortune. In some cultures, a coin or special trinket is baked inside and whoever gets the surprise is guaranteed good fortune for the coming year–unless of course they break a tooth. So there you have it. Ten ways to start your new year off right. Whatever juju you choose, we hope 2013 brings you all the success and good fortune you wish for. In the meanwhile, let’s all tip our glass to another round as we sing Auld Lang Syne, and wait for that giant ball to drop in Times Square. The distillation of whiskey in this country dates back to the arrival of European farmers, especially those from Ireland and Scotland, who brought with them the skills and knowledge necessary for producing spirits from whatever grains were available. However, beverages produced by these homemade distilleries were for self consumption only and perhaps a few friends and neighbors. 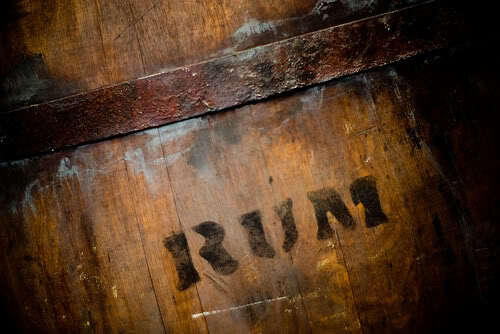 The first known commercial distillery in America was started in 1664 on what today is Staten Island for the production of rum, as it was the preferred drink of the times. Three years later, a distillery was opened in Boston, Massachusetts, and by 1677, rum was Colonial New England’s most prosperous industry. With the advent of the Revolutionary War, British shipping blockades made the importation of Barbados molasses and sugar, key ingredients of rum, almost impossible to get, effectively disrupting America’s rum production. This spawned increased interest in whiskey as a spirits substitute, not only by the drinking public, but by the Continental Army as well, as each member was allowed one gill (four-ounces) of spirits per day as part of their rations. By the end of the Revolutionary War in 1784, American whiskies had became popular–primarily rye whiskey in Pennsylvania and New England and corn whiskey in the south and west–and commercial distilleries were beginning to be established. 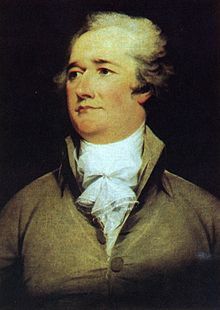 In 1791, Alexander Hamilton, Treasury Secretary for the new government, imposed the first tax on distillers in an effort to recover from the heavy war debts. Fearing it would be extended to include other drinks, foods, even clothing as in England, distillers demanded the tax be repealed. When their demands fell on deaf ears, the 1794 Whiskey Rebellion was organized in protest. The insurrection, headed by a group calling themselves the “whisky boys,” immediately turned violent, assaulting tax collectors, burning their homes and destroying property of those who dared pay the tax. Finally, a federal militia force of thirteen-thousand soldiers commanded by President George Washington restored order. 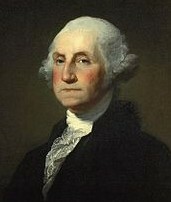 The rebellion leaders were captured, convicted of treason and sentenced to death but later pardoned by Washington. Ironically, in 1797, one year after leaving the presidency, Washington and his Mount Vernon overseer, James Anderson, started what would become Virginia’s largest distillery. Beginning with two stills, the first year’s production was eighty gallons of rye whiskey. The following June, they added five stills located in a new stone building next to the farm’s mill, and by 1799, the year of Washington’s death, production was almost eleven-thousand gallons. Selling for sixty-cents a gallon, the distillery realized a seventy-five hundred dollar profit. The Mount Vernon distillery continued to operate until 1808, nine years after Washington’s death. In 2006, the site was excavated, and the distillery reconstructed on the original foundations. Today, it is the only eighteenth-century working distillery in the nation. As the nation’s demand for whiskey continued to grow, and so did the number of distilleries. By 1810, there were 14,191 registered distilleries in America producing more than 25 million gallons of whiskey per year, almost five times as much as Washington’s operation. Many of these operations were located in Tennessee and Kentucky where many of the Irish, Scotts, and Scotch-Irish immigrants had settled and migrated. The first recorded distillery in eastern Tennessee was constructed in 1771, twenty years before the rebellion, by Evan Shelby, Jr. at Sapling Grove near the Holston river, although there is no record of how long it operated or when it closed. It is known however that East Tennesseans were producing significant quantities of rye whiskey (as was the custom in eastern colonies) by 1785. Soon afterward, settlers in middle Tennessee–finding the soil well suited for growing corn, oak plentiful for making barrels, smooth limestone-filtered water, and a good network of rivers available for shipping their product–also began constructing distilleries. By 1799 the area boasted sixty-one stills. Tennessee’s oldest registered distillery still in operation today is Jack Daniel’s, located in Lynchburg, south of Nashville and just above the Alabama state line. Ten years later, George Dickel built his distillery on the Highland River between Nashville and Chattanooga. The Tennessee distilling industry continued to grow, quickly becoming one of the largest producers of whiskey in the nation, especially Roberson County near the Kentucky border. Unfortunately, an intermediate series of events over the next sixty years would serve to impede that growth. During the Civil War, Union troops that occupied the area banned the production of spirits in order that the corn and grains be used to feed men and livestock. But with the end of the war, production resumed, and by 1886, Robertson County distillers were producing 45,000 barrels per year, consuming so much corn that large amounts had to be purchased from other parts of the country in order to keep up with whiskey demand. By the late 1800s, the Women’s Christian Temperance movement and other church groups, coupled with intense competition that caused smaller, less successful distillers to close, saw Robertson County’s distilling industry (the largest in Tennessee) take a sharp decline. Then by 1909, with only five distilleries left, a statewide prohibition on the manufacturing of whiskey (ten years before the national prohibition) forced these and the other Tennesse distilleries to close or move to other states. Bourbon County was established in the early 19th century in eastern Kentucky. Named in honor of the Bourbon kings of France who aided America in the Revolutionary War, the area became the center of that state’s whiskey production. Over the years, the original area’s boundaries have been divided into thirty-four modern counties. Today the County is dry, and the production and sale of spirits prohibited. Distilleries in Bourbon county used a distinctive method of producing their whiskey known as the “sour mash” style and was labeled as “Bourbon County Whiskey.” By 1840, “bourbon” was well recognized as a particularly smooth, amber colored whiskey brought about by aging the spirits in charred oak barrels (prior to this time, whiskey was basically clear in color). This distinctly American technique for making whiskey was soon adopted in other states as well. 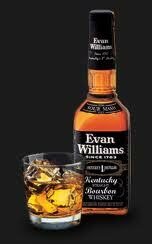 Although not Kentucky’s oldest family to produce whiskey, Evan Williams was responsible for the state’s first commercial distillery, built in 1783 on the banks of the Ohio River near Louisville. Four years later, the Reverend Elijah Craig opened the Heaven Hill Distillery in Georgetown. One of the last distilleries (now in its seventh generation) was constructed in Kentucky during the 18th century by Jacob Beam (Jim Beam Bourbon) in 1795. Other notable post Civil War Kentucky distilleries still in operation include the Ripy Family Distillery built in 1869 (Wild Turkey) and the A. Ph. Stitzel Distillery(Old Fitzgerald) built in 1872. 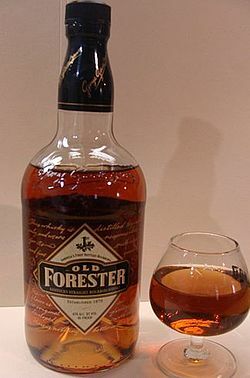 It should also be mentioned that although Old Forester Bourbon, first bottled in 1873 by George Garvin Brown (Brown-Forman Corporation), is one of America’s oldest, continuously bottled brands, it was initially blended from whiskey by other distillers. In 1920, the U.S. Congress passed the eighteenth amendment to the Constitution which prohibited the manufacturing and sale of alcohol. This thirteen-year prohibition shut down almost every legal distillery in the country; most never reopened. During this period, only George T. Stagg, Pepper (Old Crow), Stitzel-Weller, and Glenmore distilleries (Yellowstone) were allowed to continue producing whiskey for “medicinal” purposes. Following the 1933 appeal of prohibition, many of the old distilleries never reopened. Brand consolidations and slow rebuilding saw a resurgence of only ten Kentucky distilleries and two Tennessee operations–Jack Daniel’s and Cascade (later becoming George Dickel & Company). Today, we see whiskey companies reviving many of the old recipes and brand names as they attempt to appeal to America’s growing trend toward the super premium niche-brand spirits market. We are also seeing a growing interest in the development of microdistilleries, a movement that, while still in its infancy, is sure to become as popular with the liquor crowd as microbrewing is with beer drinkers. American whiskey produced in the United States is made from fermented mash whose production and labeling is governed by Federal Regulations. Unless it is blended, the whiskey must be distilled to no more than 160 proof (80% alcohol by volume), the addition of coloring, caramel, and flavoring is prohibited, and except for corn whiskey, must be aged in charred new oak containers. American corn whiskey does not have to be aged, but if it is, must be aged in used (normally used bourbon barrels) or uncharred oak barrels. Only four brands of Tennessee whiskey are currently bottled–Jack Daniel’s, George Dickel, Benjamin Prichard’s, and Collier and McKeel. Tennessee whiskey is defined by some international trade agreements as being Straight Bourbon Whiskey produced in the state of Tennessee, not an official type of whiskey according to U.S. federal regulations. 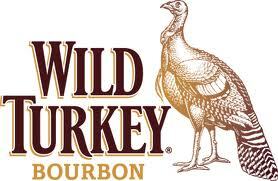 Bourbon does not legally have to be produced in Tennessee.